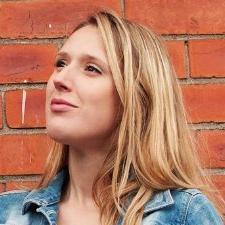 Back in the third year of my Fine Art degree, my great tutor Amanda Couch organised a trip to galleries in London. One of the first galleries was the Victoria Miro in Mayfair and I was dazzled. Yayoi Kusama’s drawings were ignored, all I could see where her installations and get absorbed in her ‘Infinity Mirror Room’. 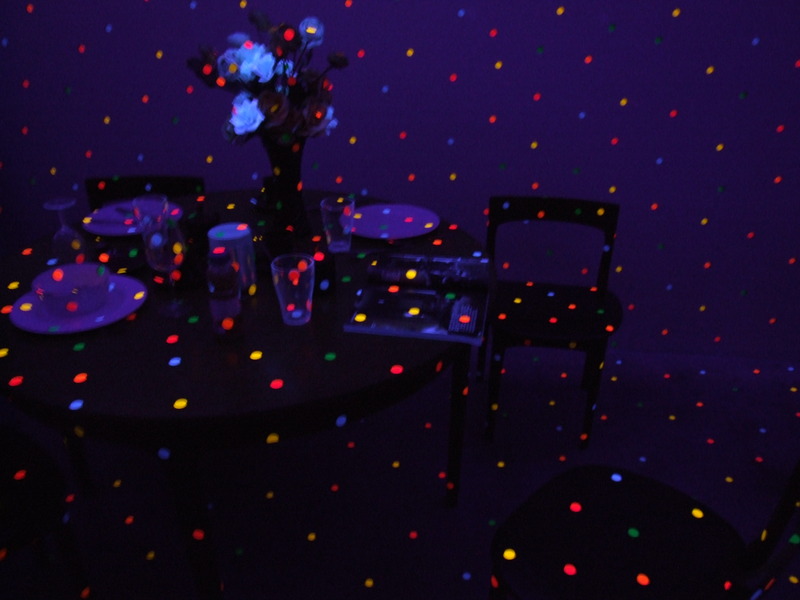 When I saw Kusama’s ‘The Obliteration Room‘ (above) I didn’t realise it was her work. I was reminded of ‘I’m Here, But Nothing‘ which I saw back in my Uni days (see below images) but the work is slightly different. The viewer can interact with the artwork; children only being allowed to add stickers to the walls and domestic items in the room. 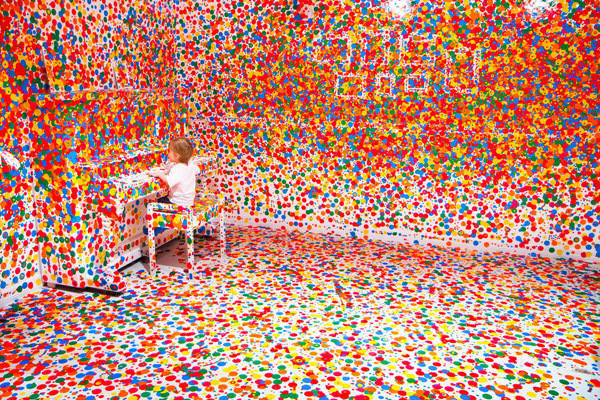 How I remember ‘The Obliteration Room’ was that you opened the door, slid into the room, which was pitch black apart from a UV light and thousands of equally spaced glow-in-the-dark stickers. 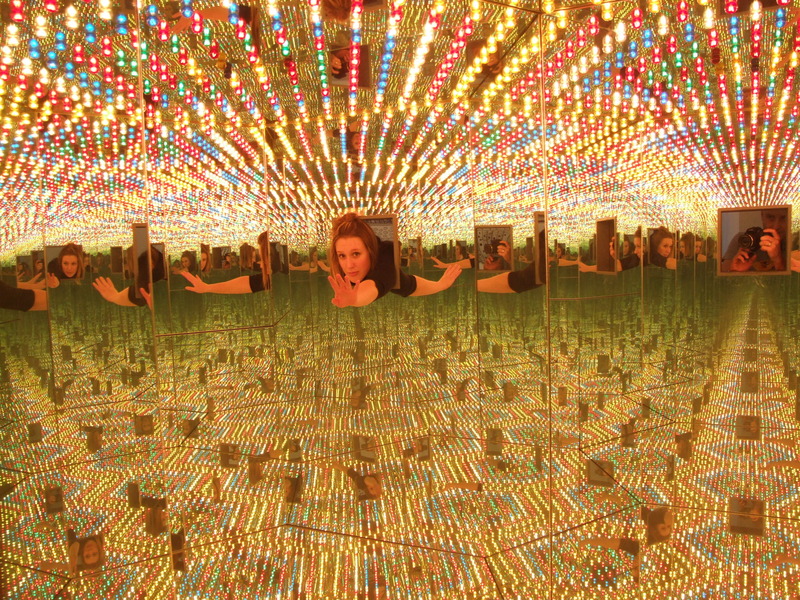 The room made me dizzy, people were stumbling and any sense of surroundings was lost. 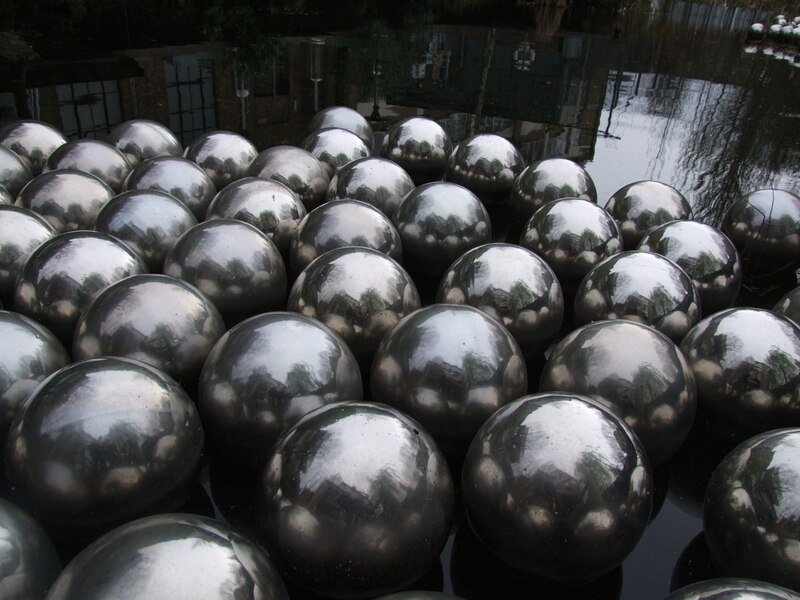 Since the visit to the gallery, I have found a love for her drawings, especially the repetition of Infinity Nets. 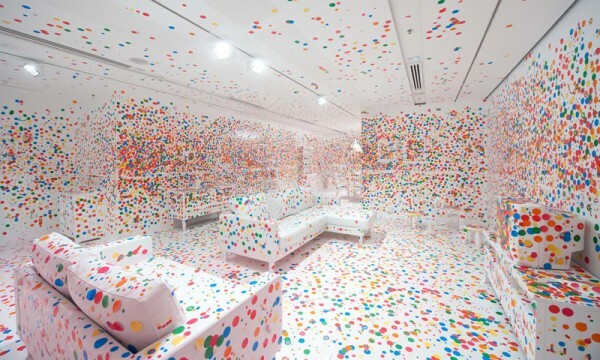 What excited me is the idea of painting an entire room and objects completely white, as in ‘The obliteration room‘.